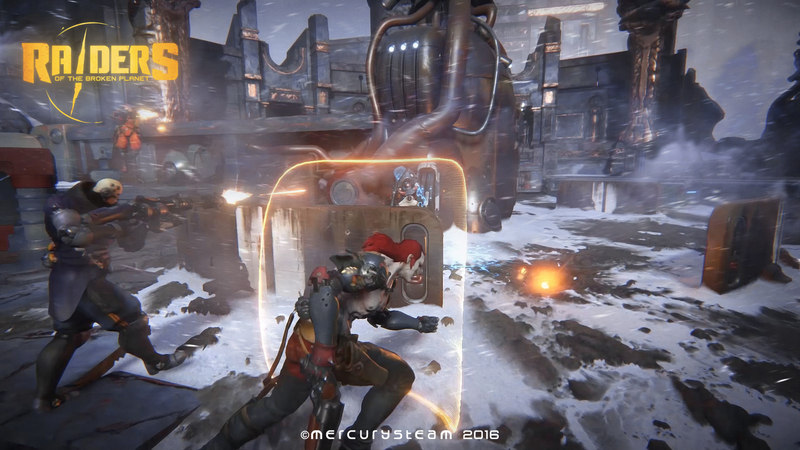 Mercury Steam, the guys best known for Castlevania: Lords of Shadow, are doing a 4v1 multiplayer co-op game next. It’s called Raiders of the Broken Planet, and in a new development diary that they released for the game today, they discussed how that one player, the antagonist, will figure into gameplay. Simply put, that one player can drop in and out of the game at any time they want. Their basic objective is to prevent the team of four players from completing the mission objective that they are tasked with. They can stroll in at any time to do so. They are fully aware of your abilities, and they know how to counter them. Essentially, they are like a mixture of a dungeon master and troll, and their sole aim seems to be to grief you. Thankfully, there’s one of them, and four of you, so it shouldn’t be too difficult to work around them. You can get more details by watching the video for yourself. Raiders of the Broken Planet launches on PC, PS4, and Xbox One later this year.